New Haven were the state champions in Class 1 last season and how did they get rewarded? With a bump to Class 2. For this Shamrocks squad, though, that may not matter too much in their quest for a return trip to the podium. But if hardware is to be in the future, it may be up to their role players, especially if front man Joseph Rethmeyer can deliver a stellar performance. Madden finished 29th in the Class 1 race last season and was New Haven's number four. 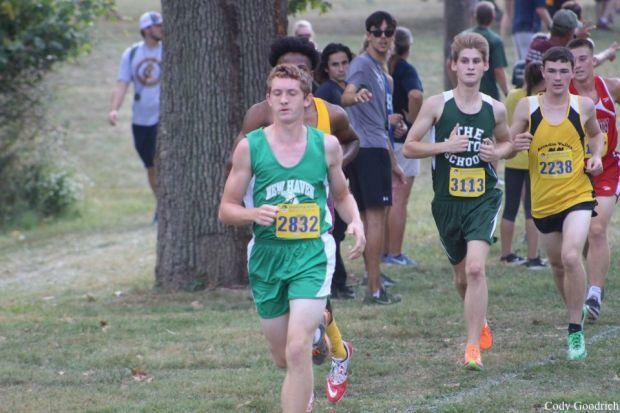 He enters the state meet this year a little behind where he was last year, but after seeing how the Shamrocks showed up in 2017, sleeping on any of those boys is ill-advised. He's run his two best times of the season in his last two races - two times that are over 30 seconds faster than the next best time - so Madden appears to be rounding into form. Watch for his to be the second or third green-on-green jersey across the line for New Haven this Saturday, probably somewhere in the 20-25 range.